1) Hang it on a race medal hanger. 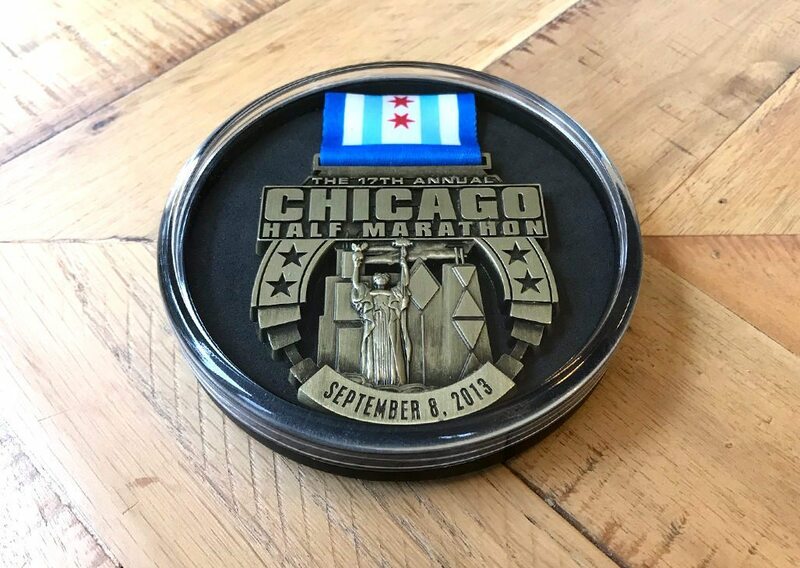 Rather than hanging your medal from your doorknob or floor lamp—yes, I’m guilty of doing this—you can consider investing in a wall medal hanger or tabletop race medal display. For a wall medal hanger, make sure you consider the weight of the medals when you’re installing it. 2) Preserve it in a shadow box or on a wall plaque. Shadow boxes like this one and wall plaques are some additional wall-mounted options. If you’re crafty, you can purchase a shadow box at your local craft store and fill it with a T-shirt, bib, medal and other memorabilia from your race. 3) Store it in a keepsake/memory box. If you don’t want to attach something to your wall, you can have a retailer like Things Remembered created a custom engraved box or you can craft your own. It’s a nice alternative to a sock drawer or shoe box. 4) Want something unique and reasonably priced? Consider the Kudos Coaster Plus. Displaying your race medal in a coaster is not only a creative conversation piece, but it’s also customizable. Each Kudos coaster comes with a variety of Tru-Fit colored inserts so you can choose which color best compliments your medal. This product was made with the athlete in mind! Read more about how it came to be. 5) Don’t want to keep your medal? Donate it to a charity. If you aren’t attached to your medal, consider donating it to Medals4Mettle, which distributes donated medals to children and adults battling serious illnesses. Another option is Sports Medal Recycling, which uses the proceeds from recycled medals to fund charity/fundraising endurance events.